watch a video of noteplex in action. 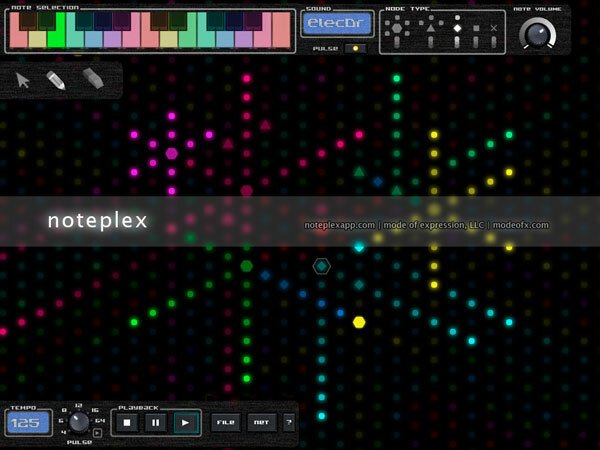 noteplex offers a new and unique way to create and experience music. 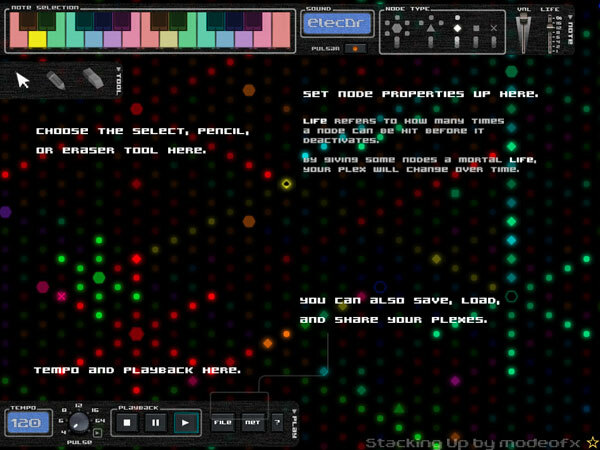 In noteplex, you see the music happen before your eyes. 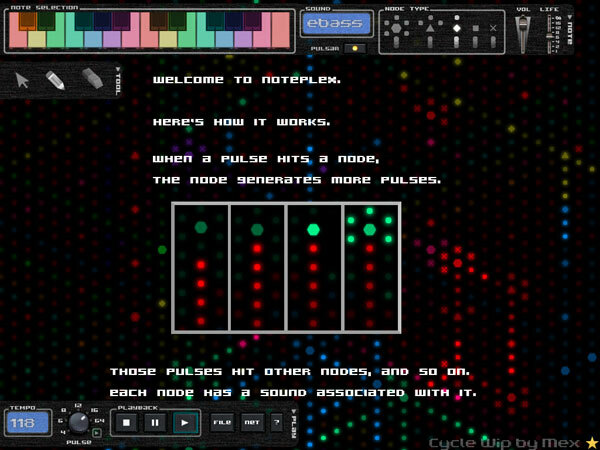 A noteplex song begins when the first node fires a pulse. 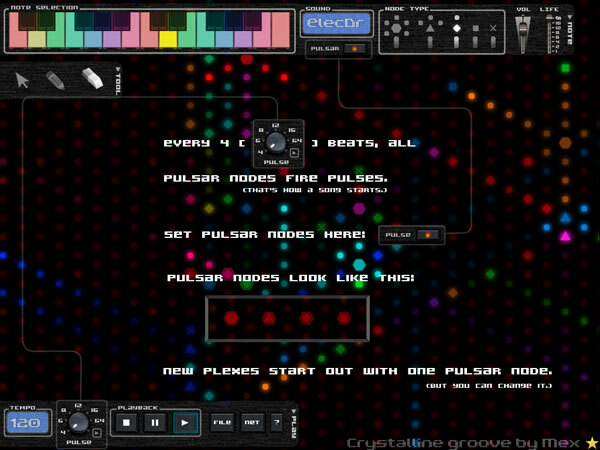 These pulses hit other nodes, which play their sounds and fire more pulses. Those new pulses hit other nodes, and so on. You're hearing a noteplex song! Share your best work online and explore what other noteplexers are creating. Favorite your faves and see what's getting attention. Everything from drum loops to "Happy Birthday" to extended compositions can be created with noteplex. This radically different paradigm for composition will push you to new and unexpected places creatively.